Please direct links to this page. Don't link directly to the zipped files! Thanks. --- WIP (2011) - Triangle mining, building and destroying. Available for download. Pay what you want. 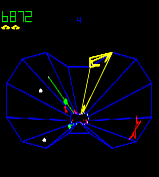 Tempest 3.1 - Now with 7 level sets. That's over 100 levels! Built in level editor - You can create your own levels and send them to me to include in the next version. Note: This is timed demo. It can be unlocked by purchasing. Music Trivia Game. More details coming soon. Save The World: From Ugly Green Things! More vector shooty goodness - coming some time. Sorry folks... I've had to remove the link to the download. 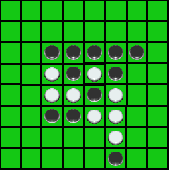 the game 'Grid Wars' from the internet for download. without us having to take further steps." 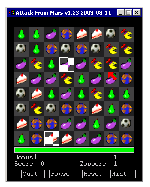 Attack From Mars 1.1 M A block swapping Game ala Bejewelled. Note: This is a standalone version. It does not require Blitz to run. It does not require BlitzMax to run. Contact me for source code.